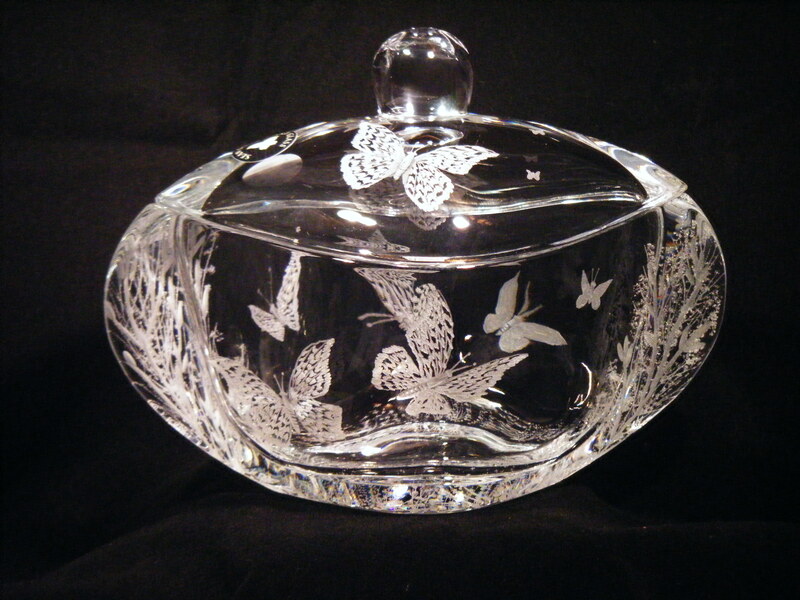 Weddings & Occasions: "Meadow Butterflies"
Description A crystal candy dish with lid, seen here with the popular "Meadow Butterflies" motif. Matching perfume bottle available to make an excellent dressing table set. 7"W, 4"D and 5"H.